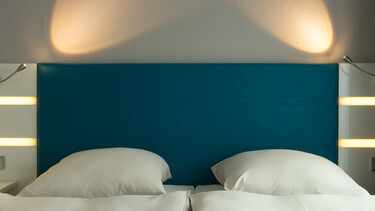 The Best Western Hotel Mannheim City is perfect for business travelers to Mannheim. The hotel is centrally located in Mannheim city centre. You can reach the Rosengarten Congress Center in about 5 minutes by car, 10 minutes by tram or 15 minutes by foot. There is free Wi-Fi available throughout the entire hotel. You can also use the parking spaces in our underground car park for a fee. The most important tourist attractions are located within walking distance from the Best Western Hotel Mannheim City for holiday-makers who wish to discover the beauty of Mannheim. The harbour, palace and shopping district are located only a stone’s throw away from the hotel. You can find many different restaurants right beside the hotel and the SAP Arena is only 10 minutes away by car or 20 minutes by tram. There is a friendly and welcoming atmosphere at the Best Western Hotel Mannheim City. Our guests very much appreciate our friendly and accommodating staff and the service they provide. The breakfast buffet at our hotel is particularly popular: fresh juices, crispy bread rolls and a wide selection of different items which are lovingly assembled on our buffet counter. You can also have breakfast on our lovely courtyard patio during the summer. Our hotel in Mannheim offers cosy rooms which were redesigned in 2016 in a modern style with a harmonious colour scheme. Comfortable beds and soundproof windows ensure that our guests have a good night’s sleep. Our peaceful rooms adjacent to the courtyard have a lovely balcony and our rooms with a kitchenette are perfect for long-term guests. A welcome drink will await you upon your arrival to your hotel room. Throughout the year, many significant trade fairs take place in the Rosengarten Congress Center. You can also experience unforgettable events at the SAP Arena, from lively concerts to sporting occasions.